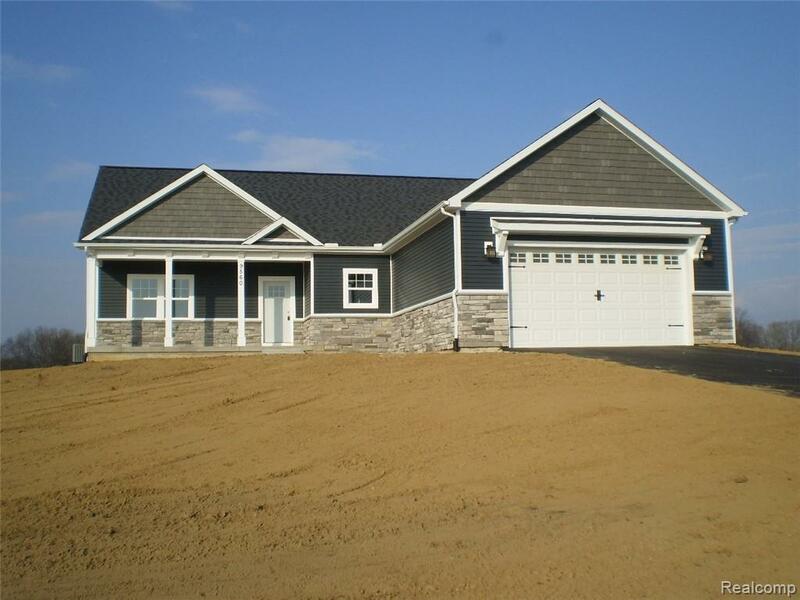 New ranch home built in the beautiful quiet country sub of " Iosco Ridge ". An open space community with 33 acres of open space for those who like some room to breathe. 10 minute all pavement drive to I-96 and Fowlerville Rd. Choice of Fowlerville or Stockbridge schools. The new home is a 1568 sq / ft ranch 3 bed 2 bath. Split bedroom floor plan with master suite on one end, great room, kitchen and dinning in the center, and two bedrooms with a full bath on the other end of home. Full basement with 9' walls, main floor has 9' ceilings, vaulted ceilings in great room. Large master sweet has water closet, large walk in closet with sliding barn door, and a door wall to future deck or patio. Large open kitchen. Spacious laundry room with built in bench / lockers. Many upgrades throughout. Out buildings allowed up to 300 sq/ft. Oversized 24' x 24' 2.5 car garage with 8' door to accommodate your SUV. The high and dry home site offers panoramic views in all directions,119' wide and 350' deep. IDX provided courtesy of Realcomp II Ltd., via Kermath Realty Llc and Realcomp, ©2019 Realcomp II Ltd. Shareholders.